Receive 1 free raffle ticket with every happy hour drink purchased. Join us for the 49 Degrees North Ice Lounge Happy Hour at the Sky Ribbon Café on Friday’s, 5-8pm, December-February. Participants will receive 1 free raffle ticket with every happy hour drink purchased. 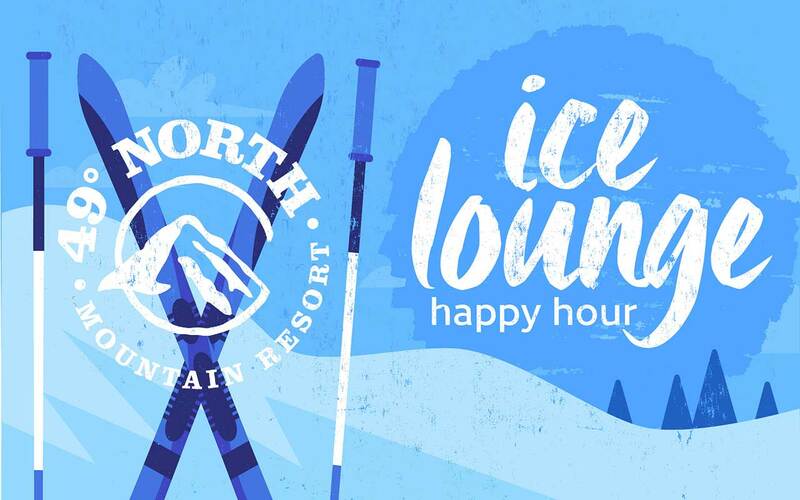 2 lucky happy hour goers will win a pair of 49 Degrees North lift tickets every Friday! Winners do not have to be present to claim their prize. The Ice Lounge Happy Hour raffle is for ages 21+.